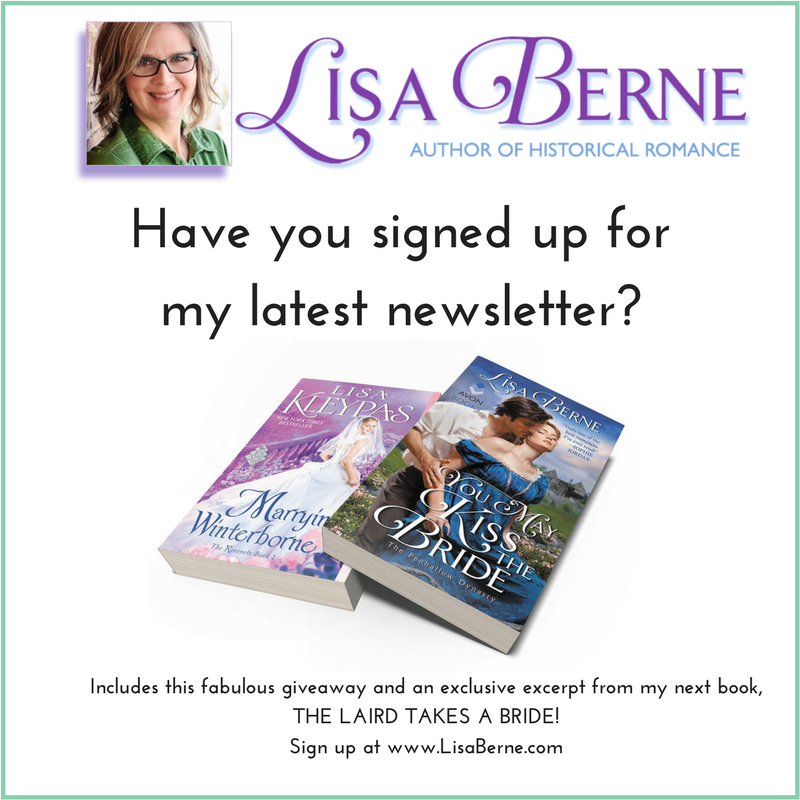 Would you like a chance to win a signed, print copy? Click here. And good luck! 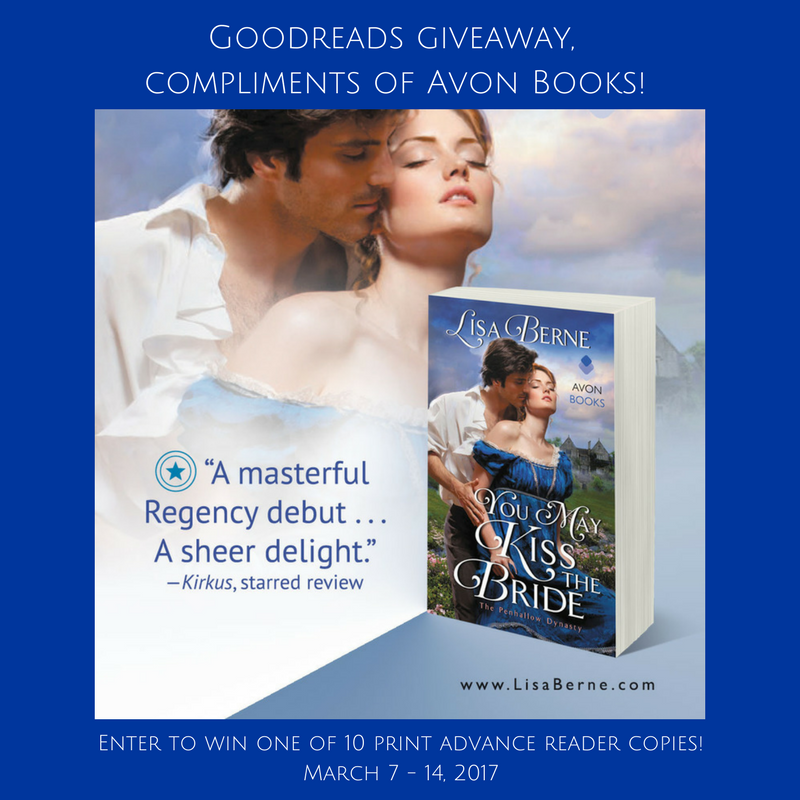 This giveaway runs from May 31 though June 10, 2017. 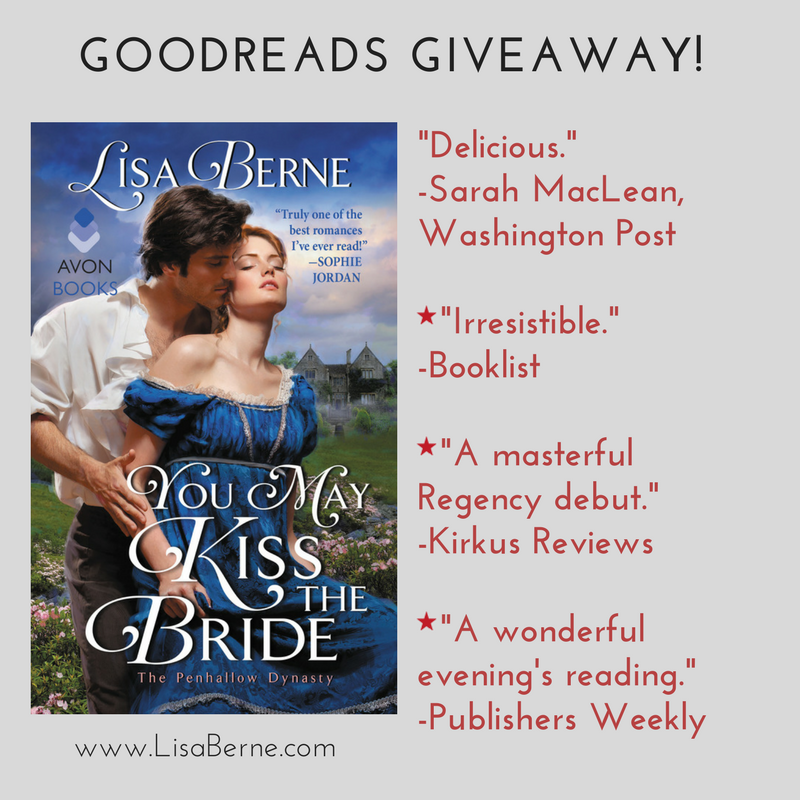 This lovely Goodreads giveaway, hosted by Avon Books, ends tomorrow. Have you entered yet? 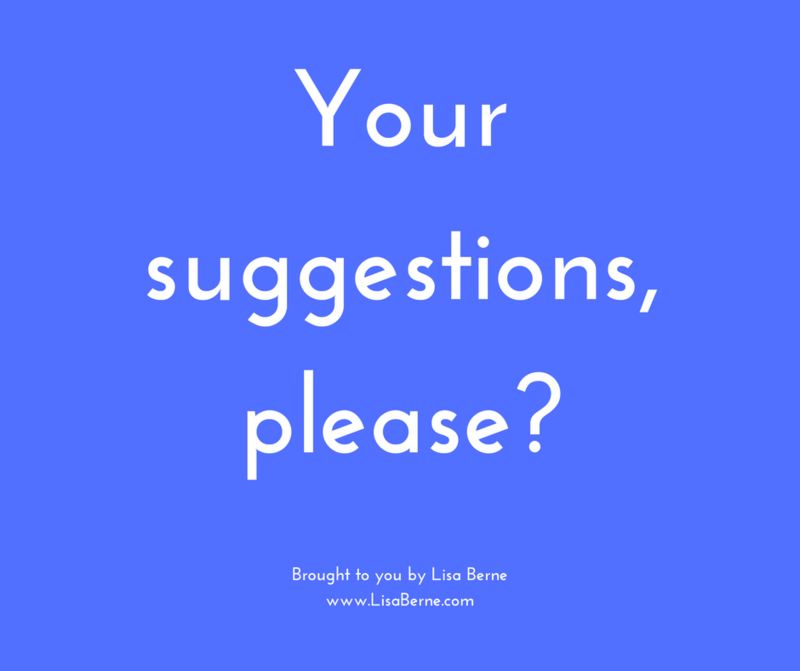 If not, click here! 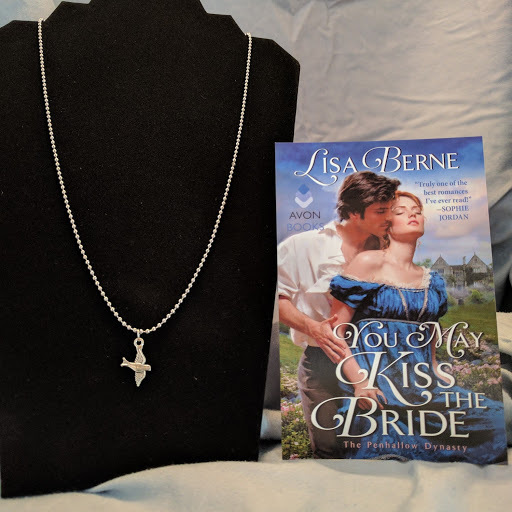 Avon Books is hosting another Goodreads giveaway for You May Kiss the Bride! Ten advance reader copies are up for grabs. 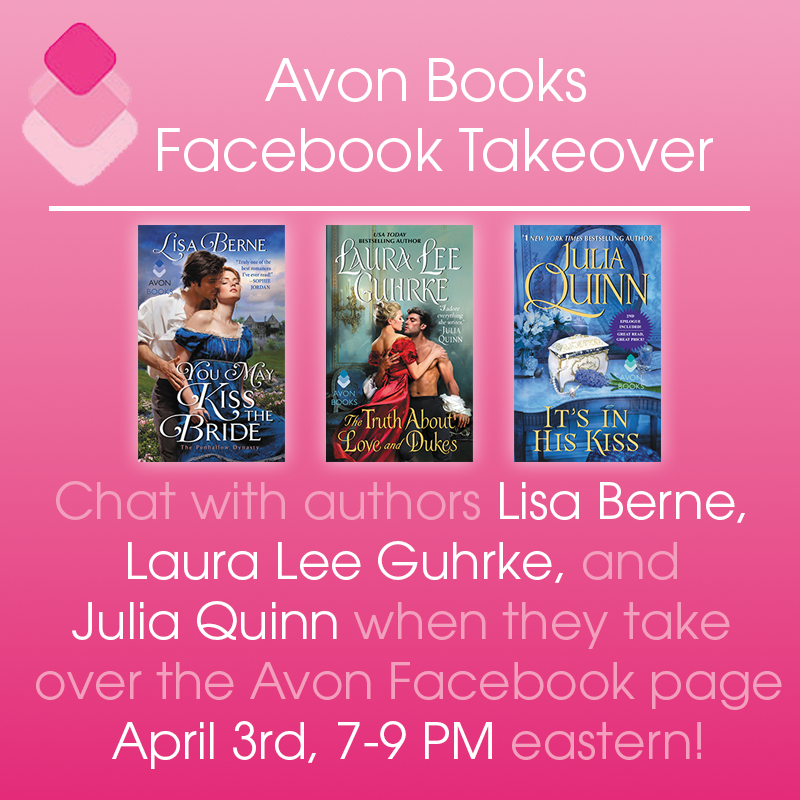 Click here for more info, and to enter. Good luck! 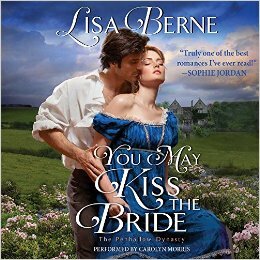 Want to learn more about You May Kiss the Bride? Click here to read Chapter 1. And click here to listen to a beautifully rendered excerpt on SoundCloud.